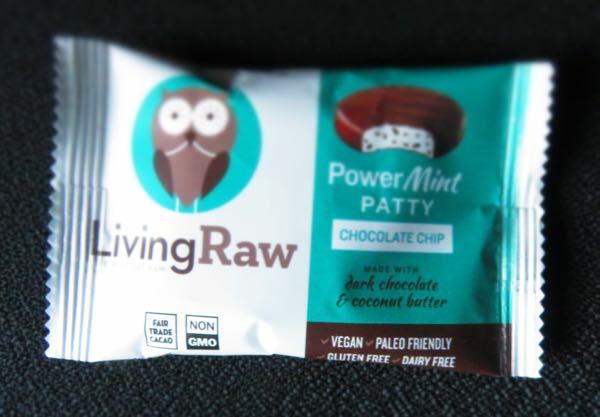 Today's PowerMint Patty (Chocolate Chip flavor) was from Living Raw (Franklin, TN). This single patty was a variation on the PowerMint Patty (Original Dark flavor) featured two days ago, with slightly less chocolate and slightly more mint-infused "coconut butter" visible in the filling. 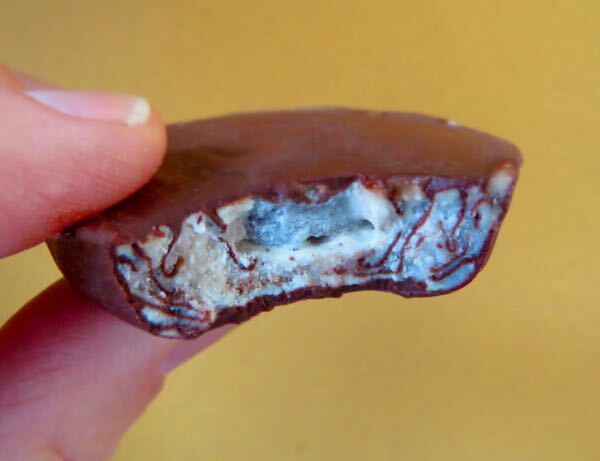 It was, like its PowerMint Patty sibling, sweetened with coconut sugar; vegan, paleo friendly, gluten free, dairy free and soy free; and was made using fair trade and Non GMO ingredients.